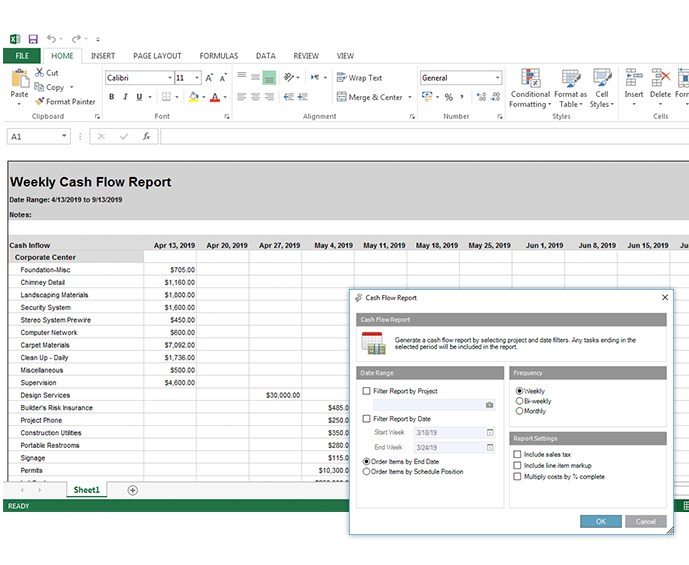 Forecast your company's finances with the Cash Flow Report. 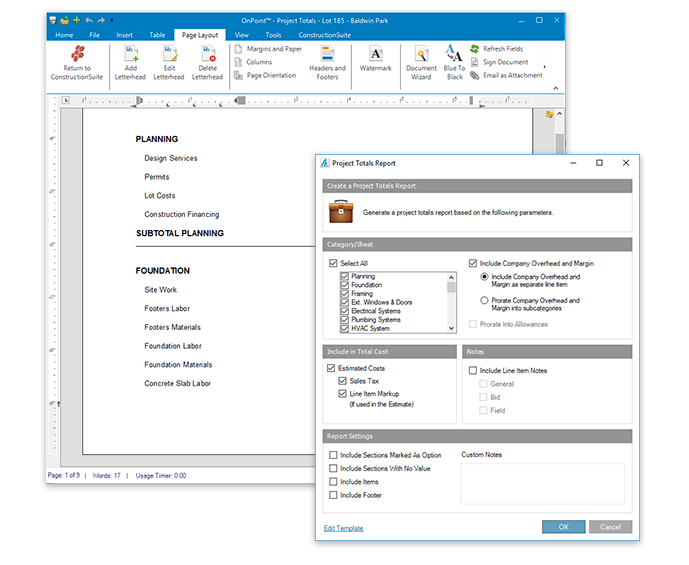 Based on expected completion dates, the Cash Flow Report pulls synchronized information between an estimate and schedule to show predicted inflow of cash in weekly, bi-weekly, or monthly intervals. Schedule draws, pay bills, and better manage your company's financial state. 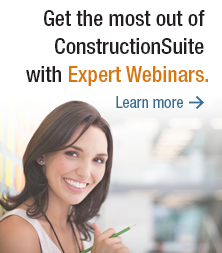 Make your information work harder with the dynamic reporting features in ConstructionSuite. 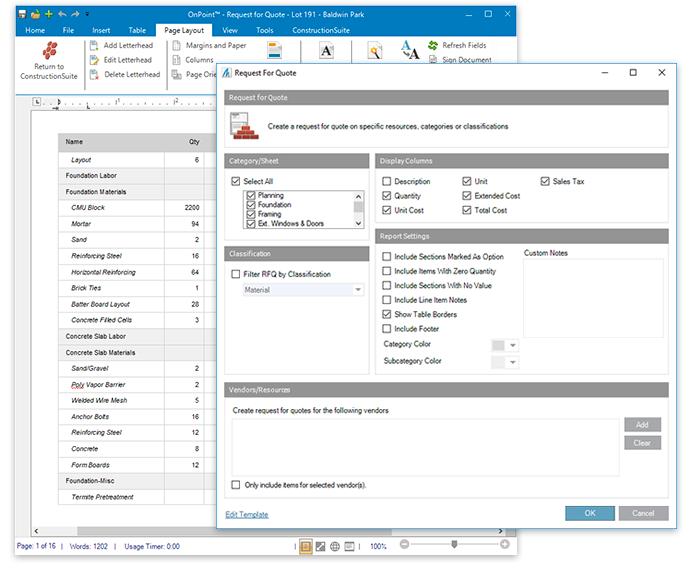 Since ConstructionSuite contains a powerful database that stores a variety of information from each file you create, it's easy to generate integrated reports. 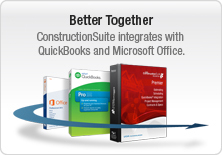 With numerous reports in Estimating and Scheduling, plus dynamic reporting features throughout the ConstructionSuite system, you can create custom automated documents that increase communication with your clients, subcontractors, and vendors, and put a professional face on your business. 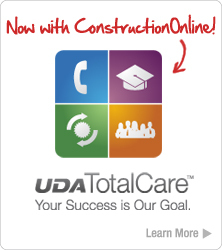 Automatically generate numerous reports from your UDA Estimates. 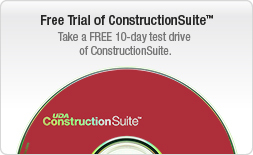 Now including more advanced options, UDA Reports give you the power to customize the types of information that appear. 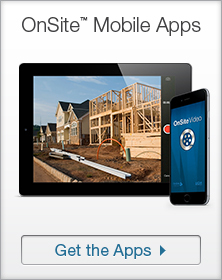 And with 15 estimating reports to choose from, there's sure to be one that meets your company needs. 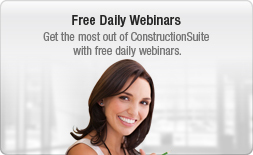 The Company Overview tab offers a powerful, aggregate reporting system. As a central reporting tool, the Company Overview report enables you to access central information about your developments, including total number of projects, start and end dates, total scheduled days, estimated cost, actual cost, and an array of options for each project. 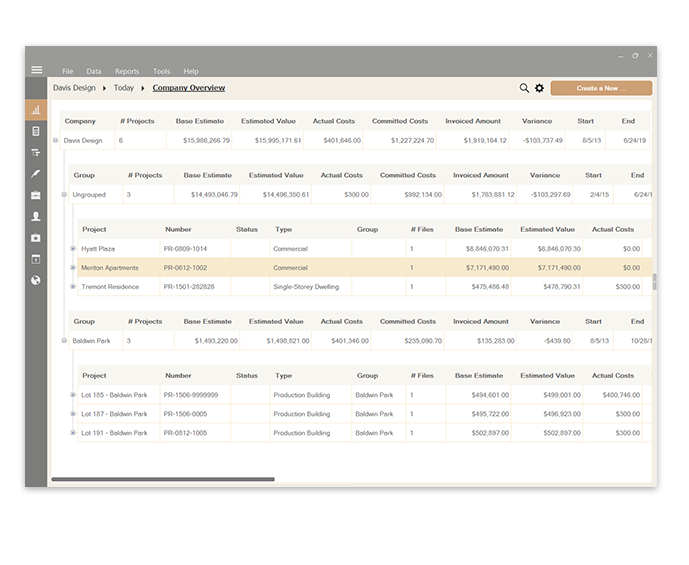 The Activity Report from UDA Scheduling cross-references information throughout your project database to produce the most comprehensive look at your company's projects. 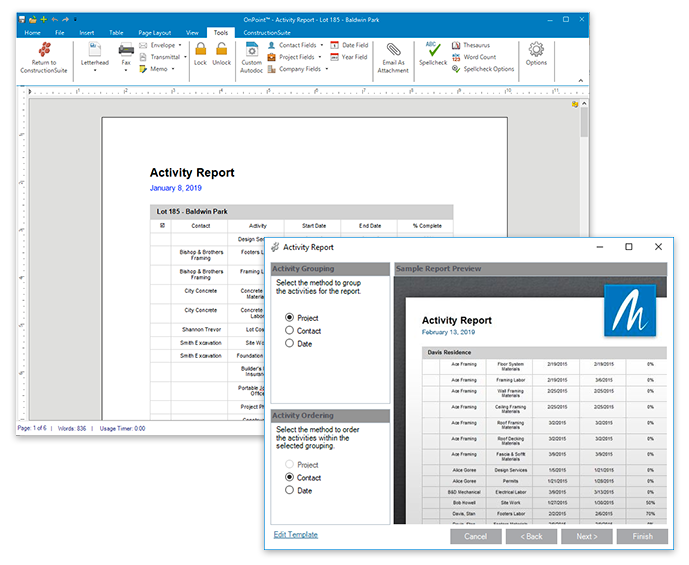 Group the report by Project, Contact, Group, or Date Range, and filter the report to narrow the scope of information that appears. 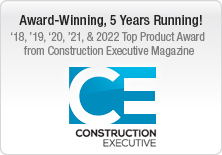 As one of the most popular reports from estimating, the Project Totals Report gives you the breakdown of costs by Category and Subcategory that you can use alone or as a part of a comprehensive proposal package. Select which Categories to include, designate what's included in the cost, and choose from a variety of options to complete your customization.